Edge Mobile Payments, LLC today announced that it will be adding an NFC ring payment device to its product line. SAN FRANCISCO , CA, UNITED STATES, August 16, 2018 /EINPresswire.com/ — Aug 16, 2018. 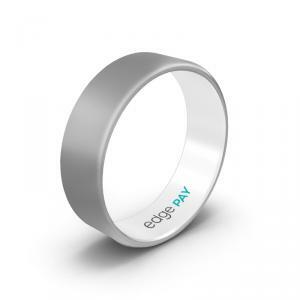 Edge Mobile Payments, LLC ("Edge"), a San Francisco based Fintech startup today announced that it will be adding an NFC ring payment device to its product line. The ring is supported by a patent application, originating from its recently-acquired Nexus IP assets and is positioned to be one of the earliest in the NFC wearable payments space. This patent application is one of several divisional filings tying back to the Nexus 2005 patent portfolio relating to wearables. Edge will be applying for additional divisional patents in the months to come, positioning Edge as a leader in wearable NFC payment intellectual property. • Will accelerate growth in the wearables payments market: Worldwide shipments of wearable devices will reach 132.9 million this year. Shipments will total 219.4 million in 2022, for a 13.4% average annual growth rate, according to IDC. EDGE Mobile Payments LLC founded in 2017, is a San Francisco CA based Digital Banking Fintech Company dedicated to expanding mobile financial transactions and enriching user experience with its new payment devices and digital banking platform.